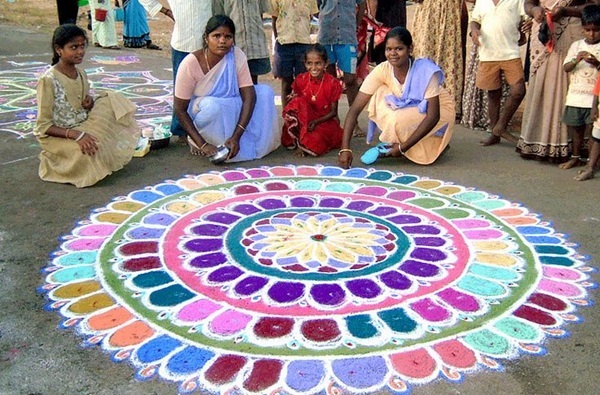 What is rangoli? 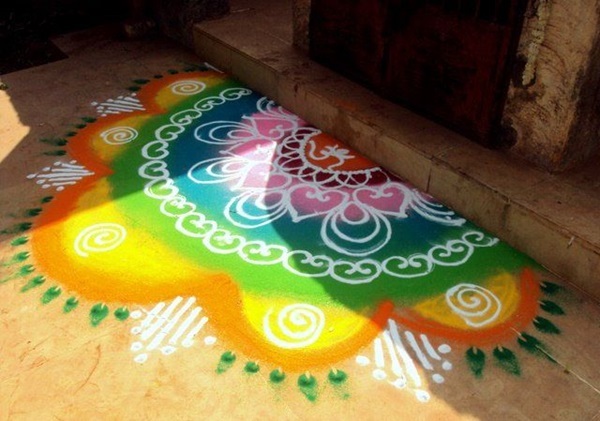 It is an art that is very temporary in that it is drawn on the floor using either powders or dyes or colored chalks to form a pattern. 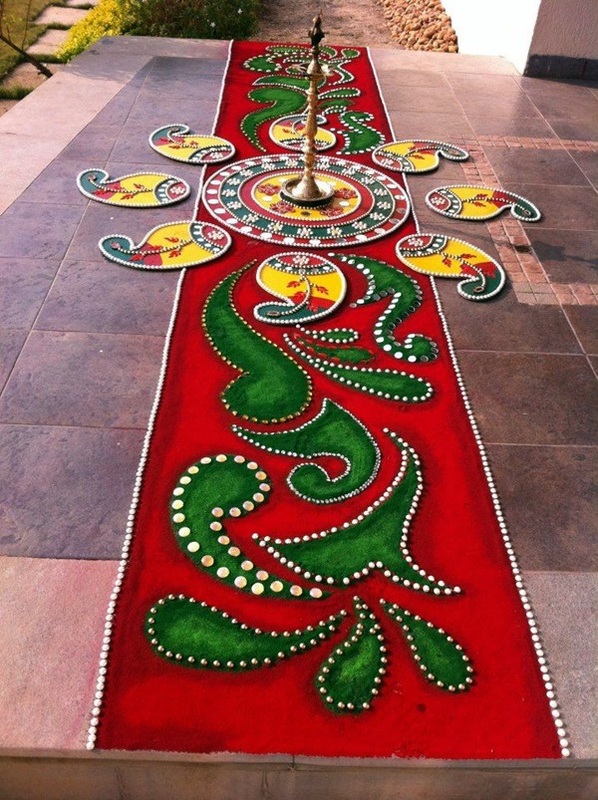 This is something that is drawn in the Indian subcontinent as a gesture to welcome the gods and guests who come to their home during festivals. 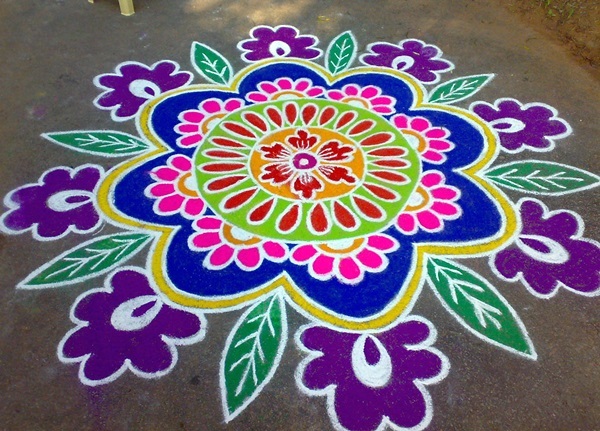 Each rangoli is drawn with patterns that are specific to the festival or the occasion for which it is created. 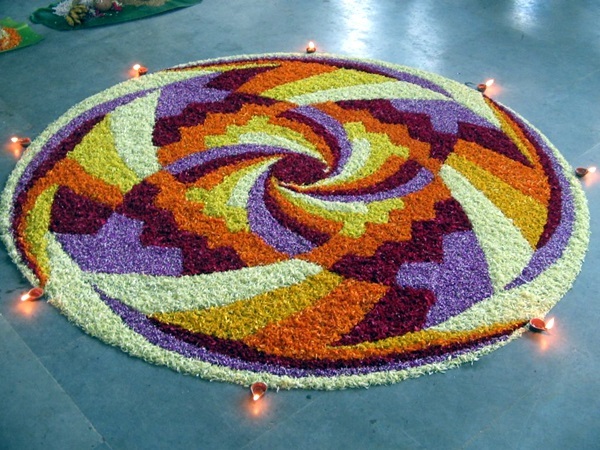 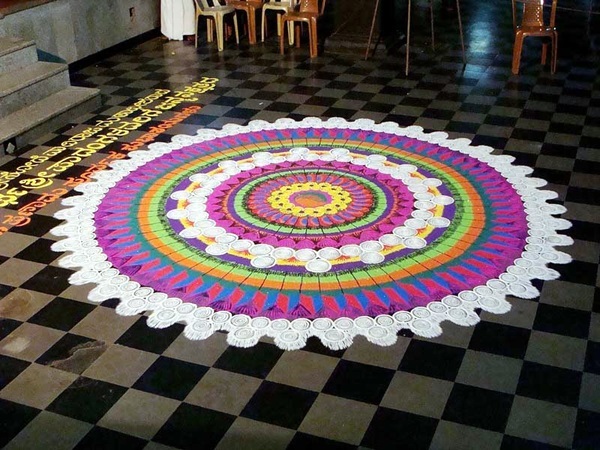 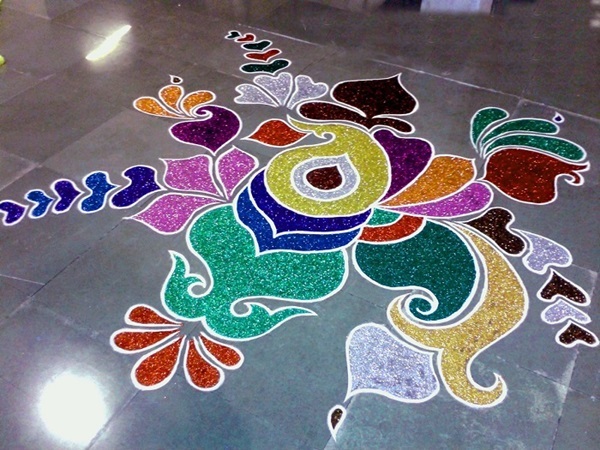 Some people even use other things like flowers or grains to create rangoli designs on the floor. 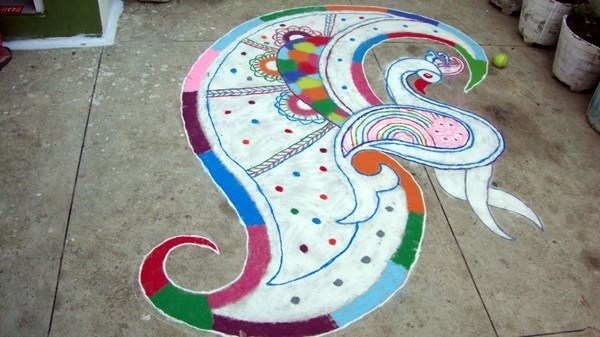 While a rangoli is not that difficult to master, it is not all that easy either unless you know the ground rules. 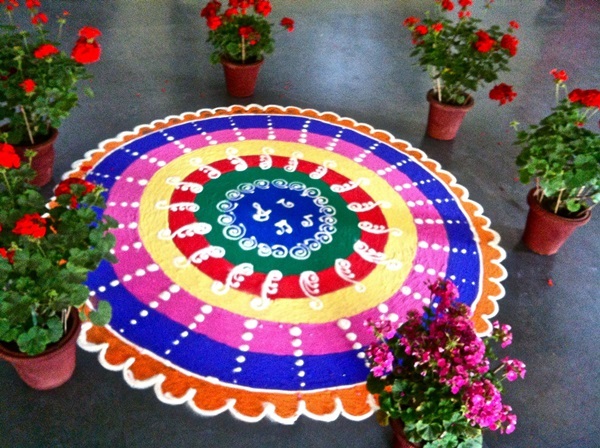 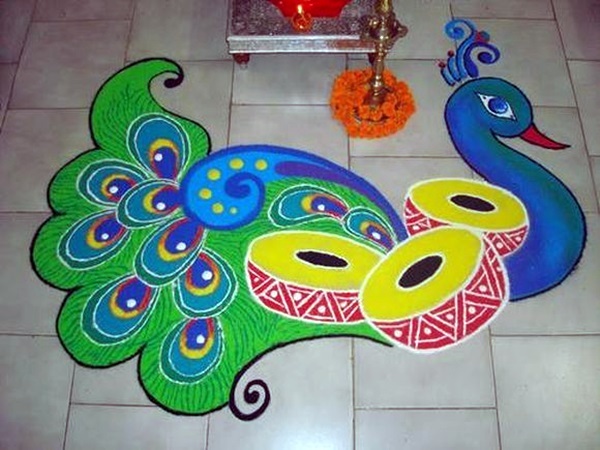 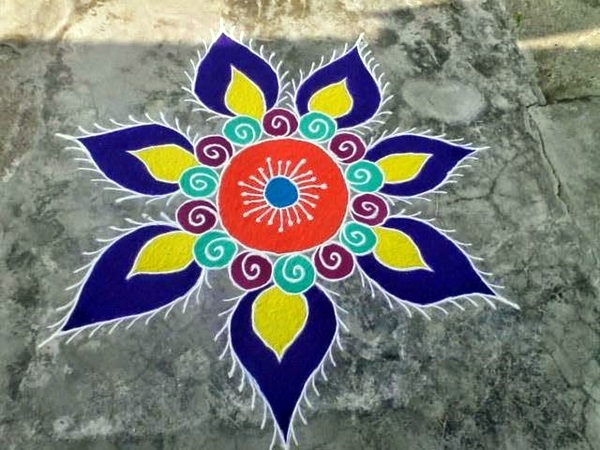 In addition, there are ground rules for certain types of rangoli designs like for instances the ones drawn in front of the home are never drawn on dry ground. 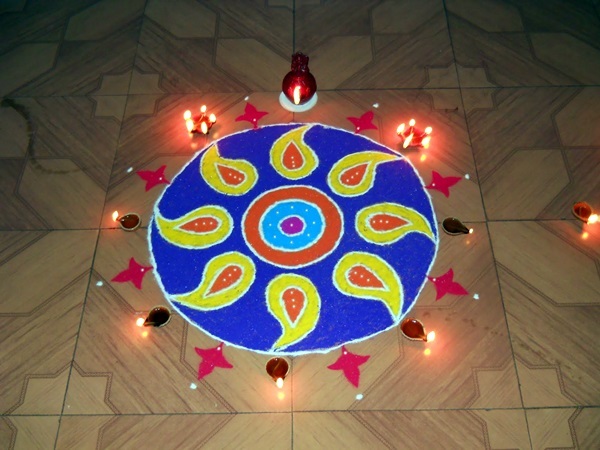 This is considered inauspicious. 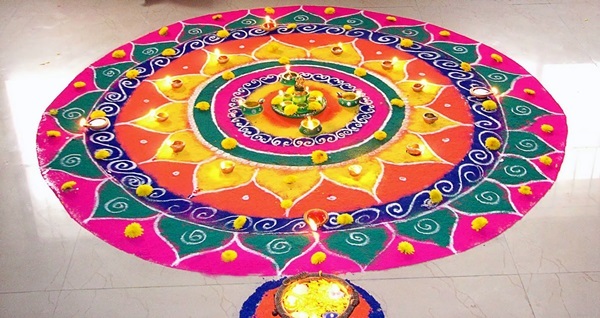 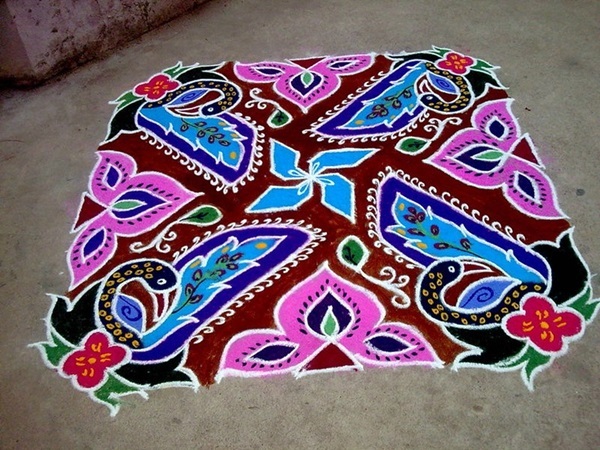 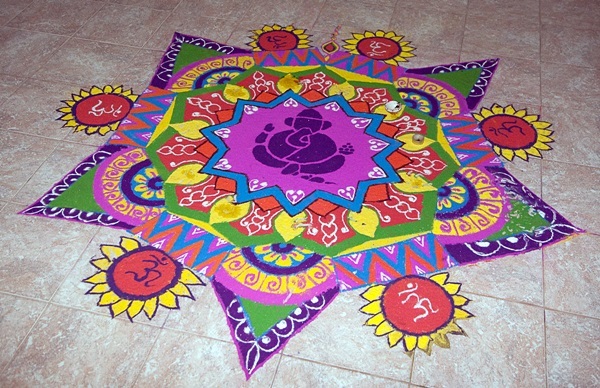 Normal daily rangolis are drawn using a white powder that is partly rice flour. 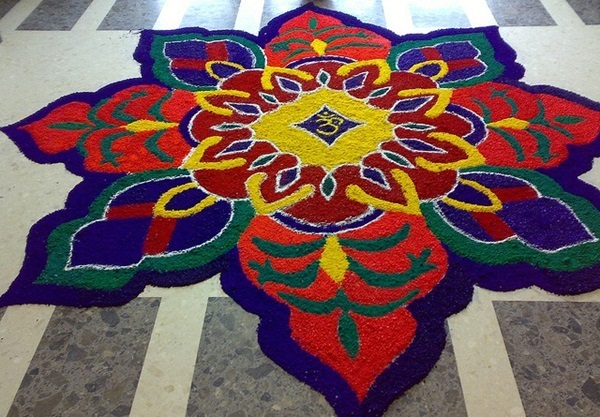 The purpose of using this mix is also to ensure that ants that are about to enter your home will be discouraged as their hunt for food is fulfilled by eating the rice flour used in rangoli. 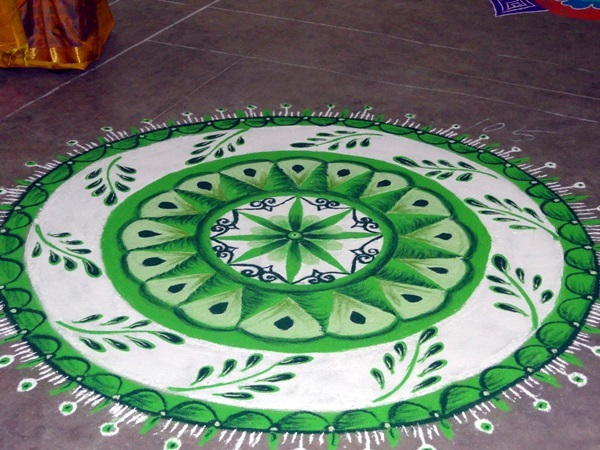 What is more, the rule also states that rangolis that are drawn in this fashion should have double lines instead of single lines. 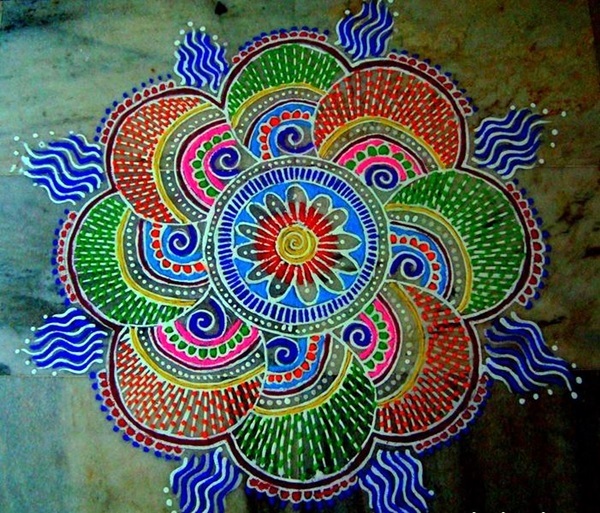 It is almost like freehand art – you can discover art in its purest and most exciting form. 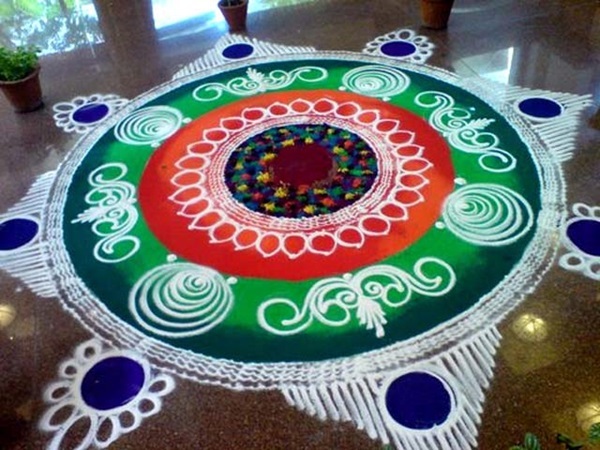 Rangolis are not drawn in just white and can be created using colored powders or chalks. 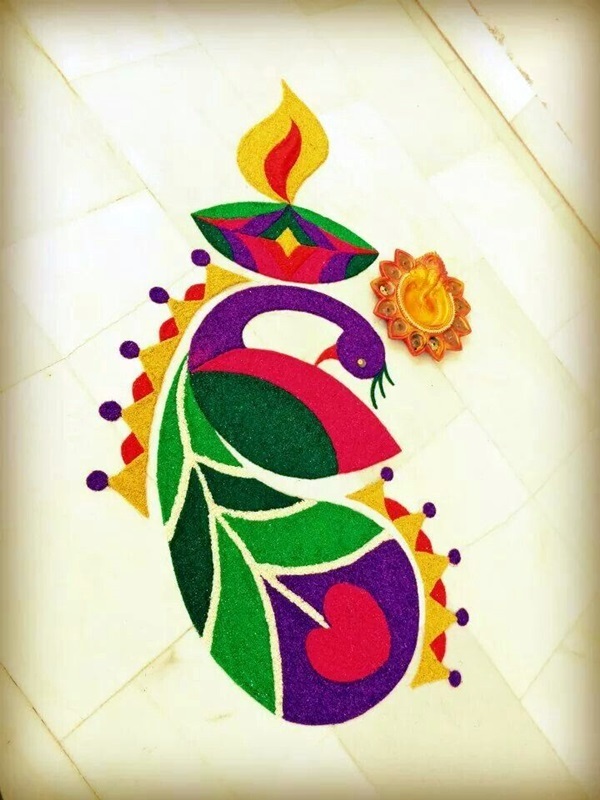 When you look at such colored rangoli designs, you will be reminded of beautiful henna tattoo designs as they too tend to have similar motifs. 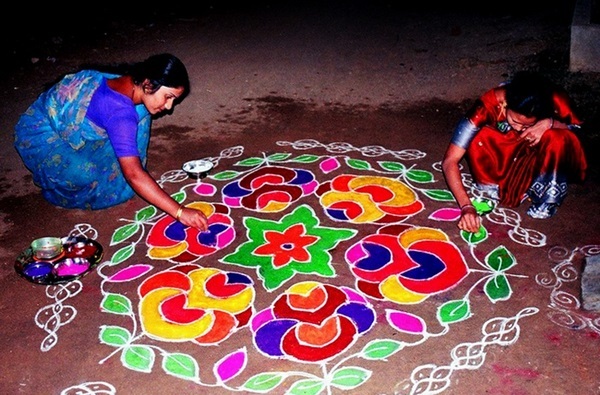 Rangolis are so popular that you even get blocks that you can fill with powders of different colors that are used to make rangolis. 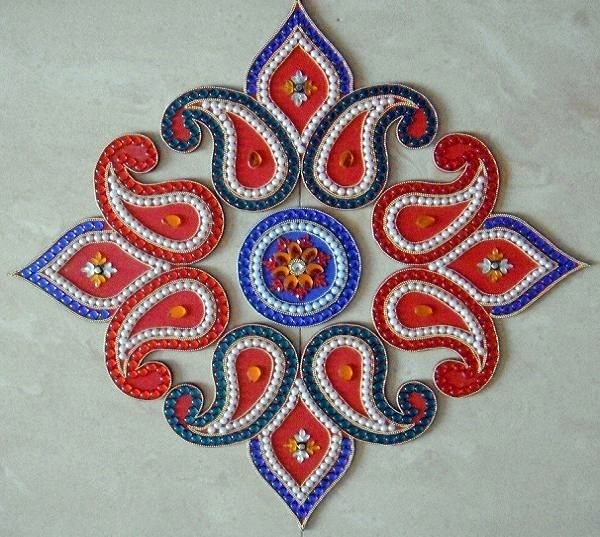 These are like block prints – using simple blocks to create amazing designs is a fun thing to do that is easy too. 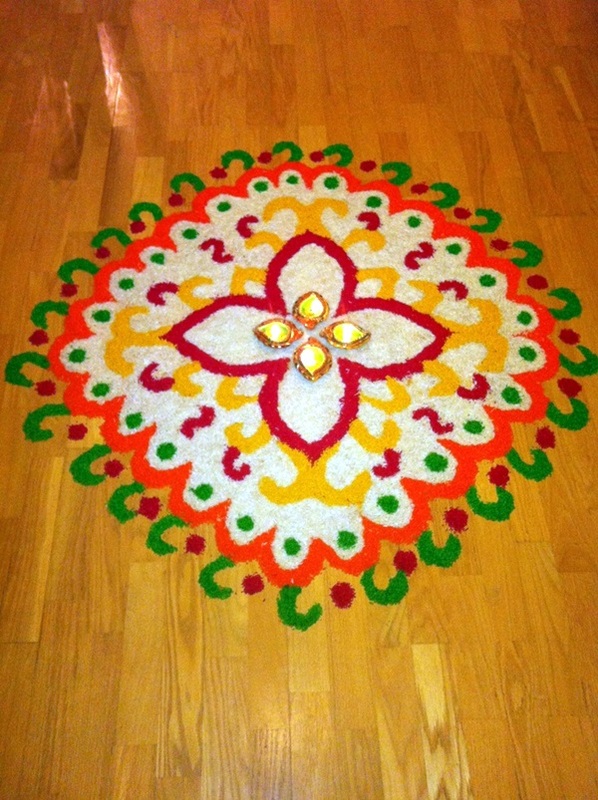 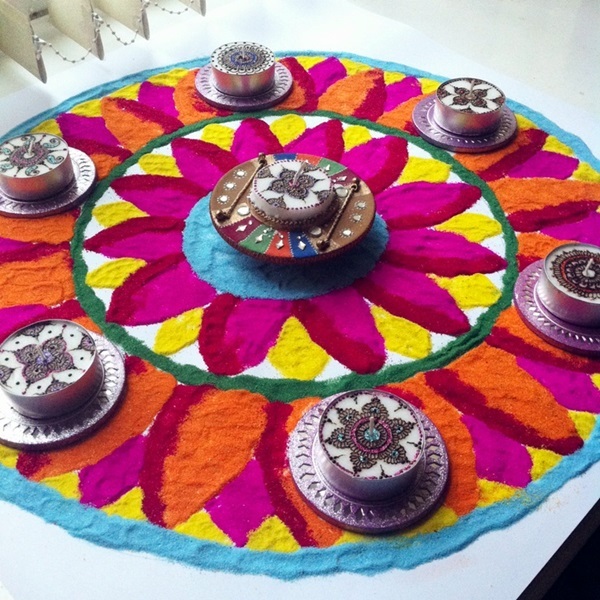 In case you are interested in creating beautiful rangoli designs, we suggest that you start out with a few simple ones. 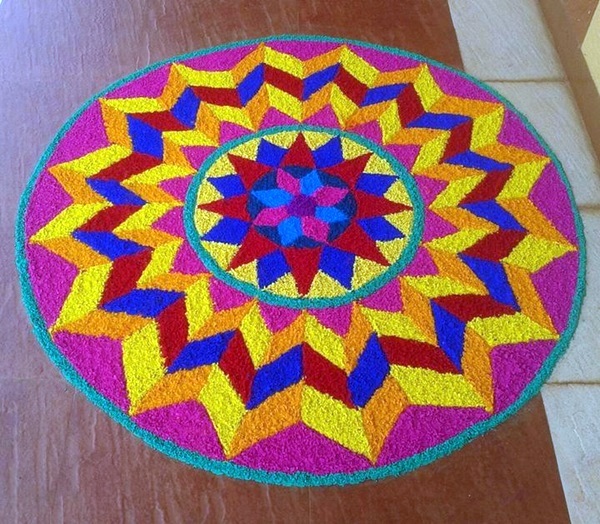 The most basic rangoli that is very popular and can be done very simply is the star. 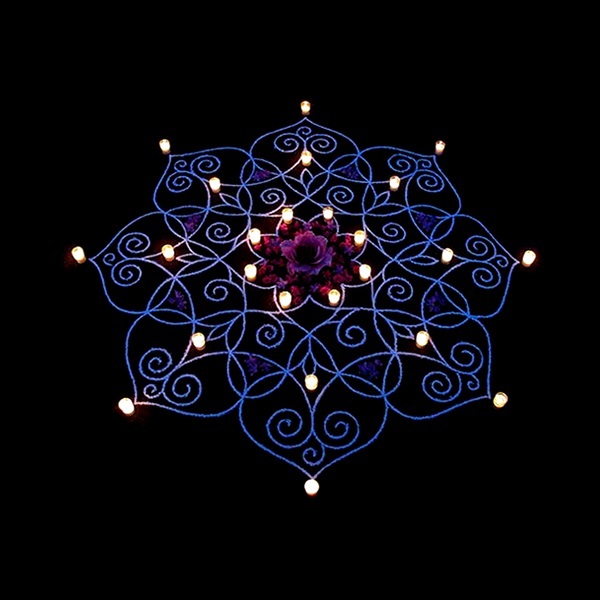 The simple star is something that is created using two triangles; one straight and one upside down. 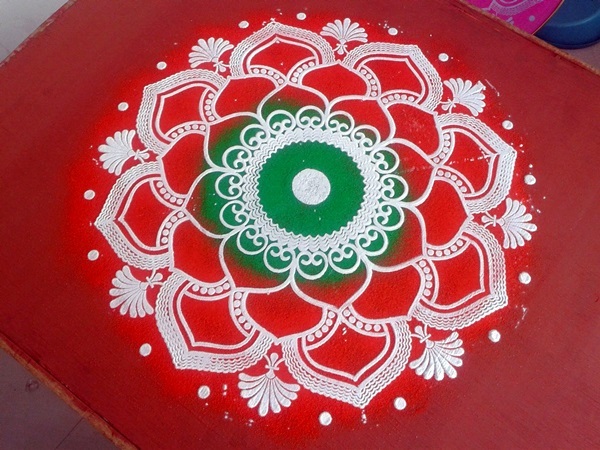 This simple drawing with powders can be surprisingly pretty to look at. 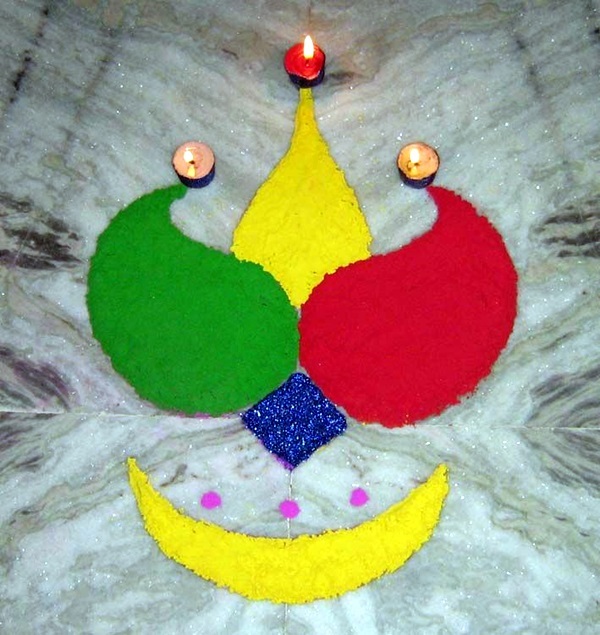 Another way to draw the star is by using two squares; one of which is straight and the other is tilted at an angle. 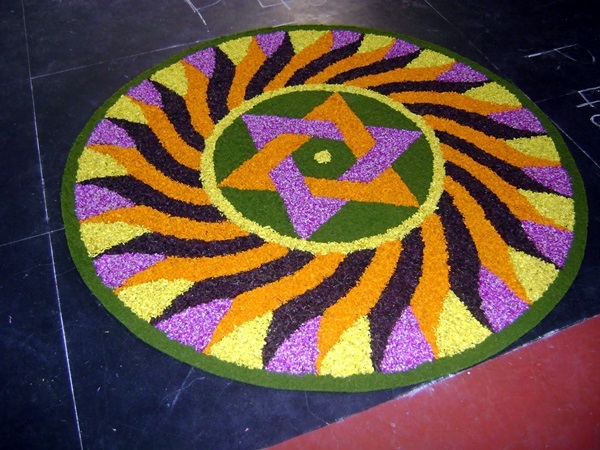 You can fill these structures with flowers or colors to make the patterns interesting and colorful. 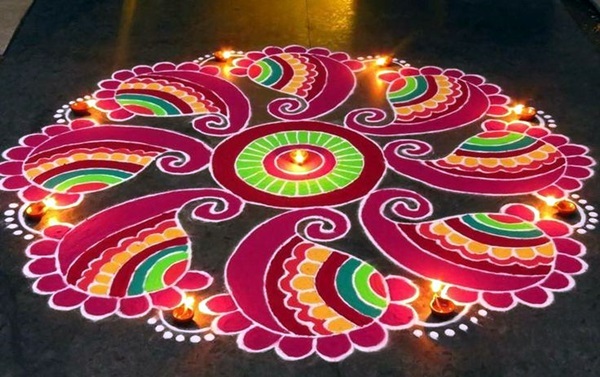 Once you start looking at these rangoli designs in terms of points and angles than just designs, you will soon be able to discern how to draw them. 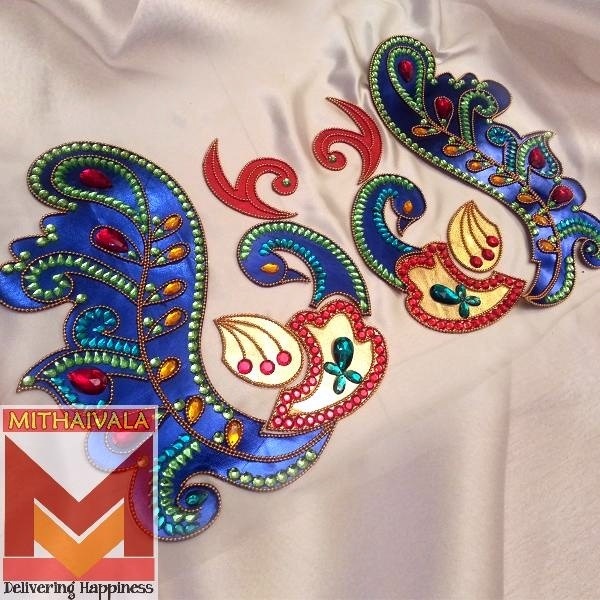 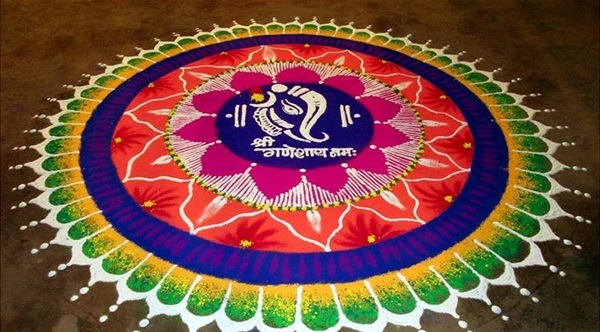 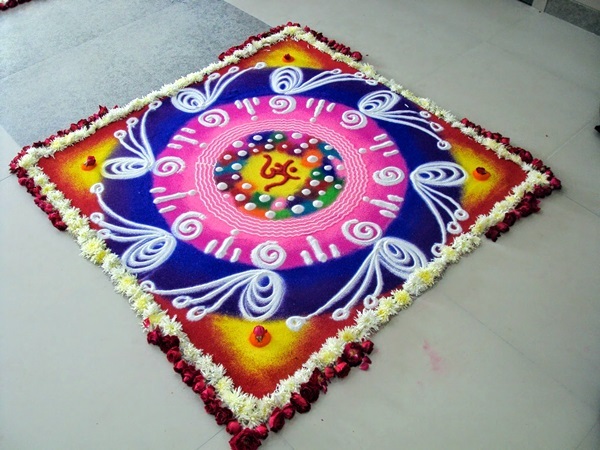 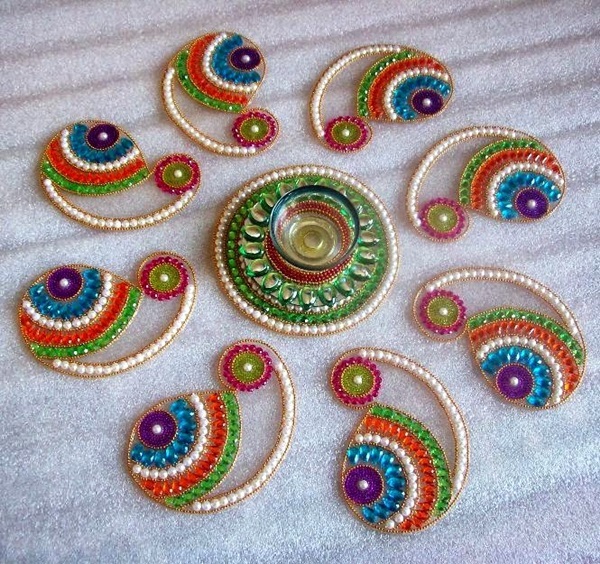 The more you practice these designs the more adept you will become and soon we are sure that you will be coming up some rangoli designs of your own. 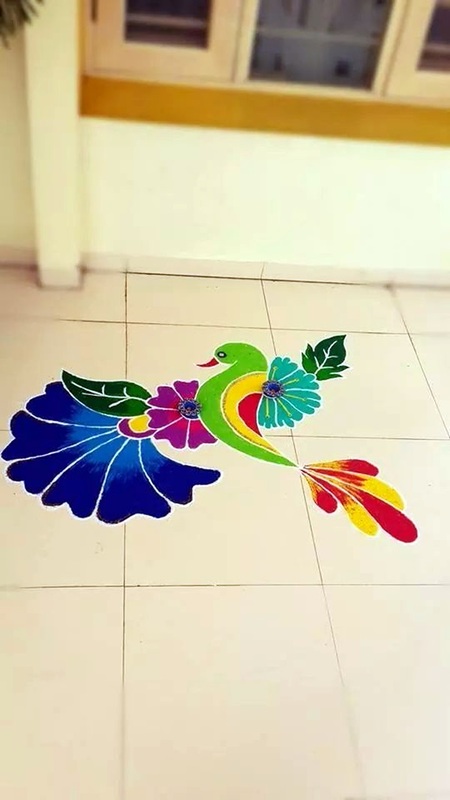 There is no doubt that having interesting and beautiful rangoli patterns decorating the entrance of your home or even other parts of the home is really charming. 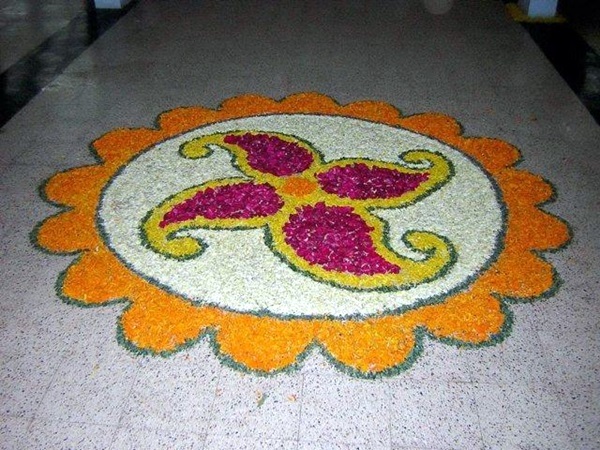 However, do ensure that you know what a particular rangoli design means before getting it done at your place. 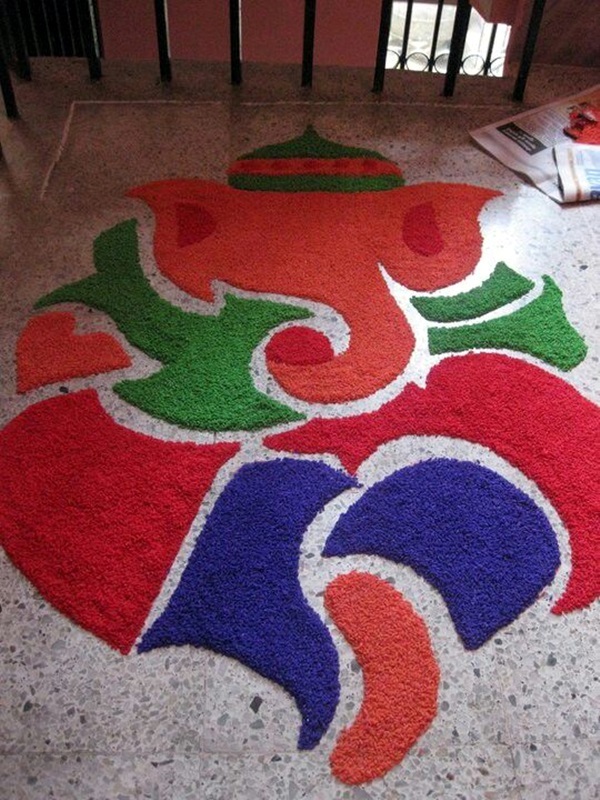 Or else you run the risk of hurting somebody’s religious or ethnic sentiments and you definitely do not want to do that. 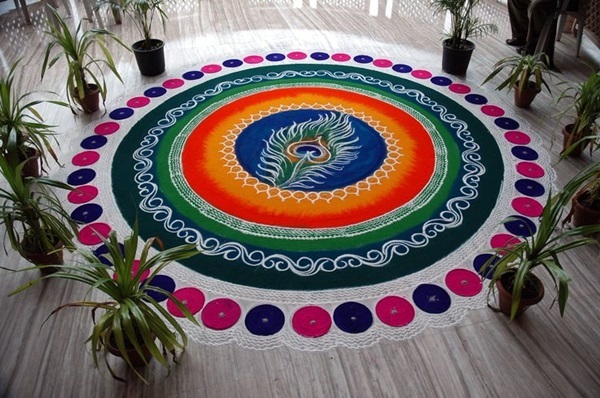 In case you are wondering where to start finding rangoli patterns to start drawing them, do not wonder anymore, we are providing you with a lot of them. 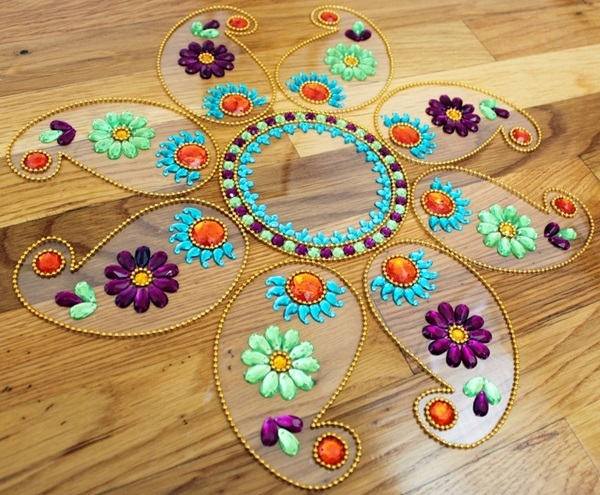 You can look up these designs and pick the ones you want to get started with to try it.